Part of our Code of Conduct reads, This Code of Conduct reflects the agreed standards of behavior for members of the KDE community, in any forum, mailing list, wiki, web site, IRC channel, public meeting or private correspondence within the context of the KDE team and its services. The community acts according to the standards written down in this Code of Conduct and will defend these standards for the benefit of the community. Leaders of any group, such as moderators of mailing lists, IRC channels, forums, etc., will exercise the right to suspend access to any person who persistently breaks our shared Code of Conduct. Lists are where official KDE business is done, and all readers can see development changes and proposals, so the list administrators hold an important leadership position. Of course deleting spam and answering basic list function questions are basic to the position, but most important is ensuring that the same high standards of consideration, respect, collaboration, pragmatism, and mutual support expressed in the Code of Conduct are exercised consistently on the list. Wherever possible this should be done by modeling clear, positive posting. When problems are encountered, encourage any transgressors to improve their list communication. While working with list members who have trouble staying helpful and polite, Mailman has the option of moderating single subscribers. Wise use of this tool helps keep list conversation positive. Only on rare occasions should a whole list be moderated. Many moderators live in Western Europe, so it would be particularly helpful to have extra moderators in significantly different time-zones. Lead moderators will need to encourage other moderators to share information about up-coming absences, so that adequate coverage can be ensured. http://emoderators.com/wp-content/uploads/teach_online.html has some good points. You may wish to cut down on the work of dealing with spam, etc. by using the cli tool 'listadmin'. Many of our users encounter the KDE community on our forums. The forum moderators are crucial in modeling our Code of Conduct to our users, and opens the door to these folks into more involvement in our community. Again, high standards of consideration, respect, collaboration, pragmatism, and mutual support are exercised consistently on the forums, because of our wonderful moderators. KDE IRC channels are where our real-time conversation takes place online. Channel operators keep conversations on topic, as well as modelling the Code of Conduct values of consideration, respect, collaboration, pragmatism, and mutual support. When there are difficulties with bad behavior, "chanops" have the power to silence and remove troublesome users. 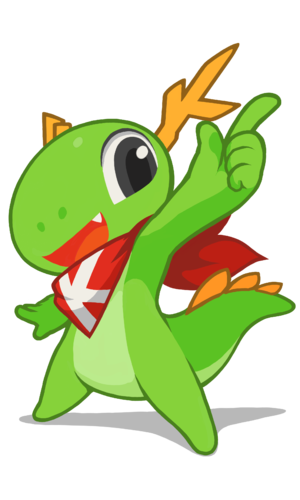 The channel #kde-ops is a resource both for operators, and those users who need an op but can't find one in a #kde-* channel. Freenode has a great page about how to make IRC a great place to get things done: Catalysts. Channels which recognize the importance of the catalyst role will foster more effective coordination of effort. An important characteristic of successful catalysts is the infrequency with which they wear authority or invoke special privilege. This page was last modified on 19 July 2017, at 08:37. Content is available under Creative Commons License SA 4.0 unless otherwise noted.